We invited Andrea Freund PhD student currently studying at the University of the Highlands and Islands to write a guest blog on her research and exhibition into Viking runes. Andrea continues the story……….”I am currently in my final year of a PhD at the Institute for Northern Studies. My research is funded through an “Applied Research Collaboration” by the Scottish Graduate School for Arts and Humanities in a partnership between UHI and Orkney Museum. This relatively new kind of studentship gives the PhD student a non-academic partner and a practical, public engagement project. In my case, that is a temporary exhibition at Orkney Museum from 9 – 30 March 2019. When it came to find a topic for my exhibition, it was clear to me that it would be about runes in Orkney, which is the central focus of my entire thesis. However, as often with such cases, the devil is in the detail. Namely, the location of many runic inscriptions from Orkney. Many early finds are now part of the permanent exhibition at the National Museum of Scotland in Edinburgh, and I knew from the start it was unlikely that I would be able to show them. Then there are the 33 inscriptions inside the Neolithic tomb of Maeshowe – rather difficult to get to the museum, so they could not be the main focus. Another consideration, which has fascinated me from my first visit in Orkney was the way runes are still an inspiration for artists and designers here, which I never saw anywhere else to such a big extent. I felt it was important to reflect the ongoing importance of runes in and for Orkney in the exhibition because that throws up many aspects of how runes, and with them the Norse, are received in modern Orkney. Therefore, the exhibition is called “A Millennium of Writing”, making the connection from the approximate time (sorry, I cannot guarantee that it is exactly a millennium, but “About 1025 years of writing” or so wouldn’t look good on a poster) that runes were first used in Orkney to the present day. In putting together the exhibition, I was very lucky in various regards. Orkney had a new find of a runic spindle whorl in 2017, and this is the first time it can go on display. Inscribed bones from Earl’s Bu have also recently been moved to Orkney Museum and are going on their first ever display, too. In addition, it has been possible to secure loans of objects that have never been at Orkney Museum and that have never formed part of the same exhibition, alongside with loans from artists and designers, to tell a more comprehensive story about runes in Orkney. One thing I personally like in museums is a hands-on experience, and I wanted to try and recreate that. This means that visitors can try themselves at carving their names in runes – made slightly easier than the Norse original technique by replacing stone with flower foam and sharp knives with wooden cuticle pushers. The runic spindle whorl is also available as a digital 3D model, created by Jim Bright, so visitors can enlarge and turn it as they wish even though the original is in a glass case. Finally, visitors are asked for their own suggestions what the rather mysterious lead amulet from Deerness might say on its inside – which we may never discover because it can neither be unfolded nor X-rayed. 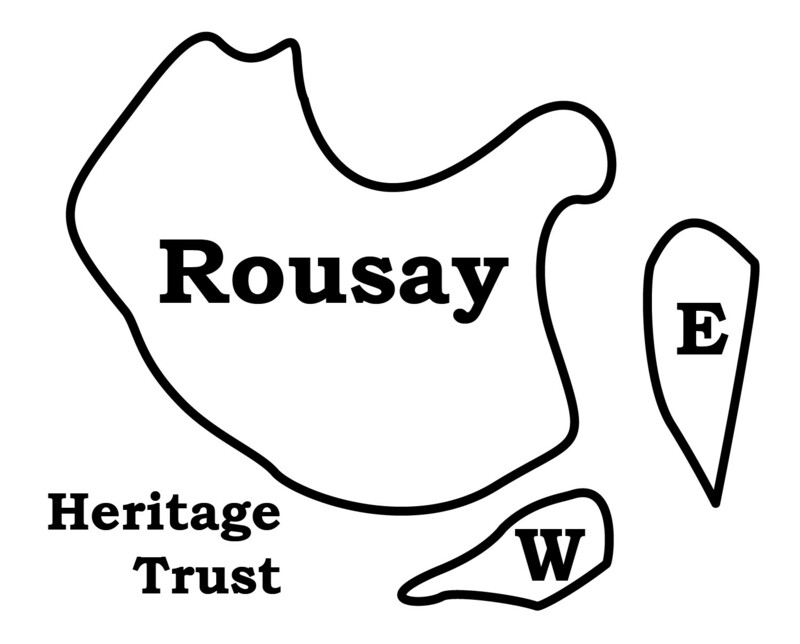 Rousay, Egilsay and Wyre Land and Sea: Exploring Island Heritage, Past and Present. Dan Lee, Dr Ingrid Mainland, Dr Jen Harland and Dr Sarah Jane Gibbon from the University of the Highlands and Islands Archaeology Institute together with a team of local volunteers and school children embarked on a programme of archaeology in Rousay, Orkney over the summer 2017. Rousay’s Summer of Archaeology culminated in a host of activities along the west shore during July. Excavations were carried out at the coastally eroding site at Swandro (by a team from the University of the Highlands and Islands Archaeology Institute & University of Bradford) and at Skaill farmstead. Together, the work at these sites aims to explore the remarkable deep time represented along the west shore; from the Neolithic, Iron Age, Pictish, Viking and Norse periods to the 19th century clearances. Work at these sites framed a series of community activities and workshops including test pit excavation at Skaill, training placements for Rousay residents, metalworking workshop, bones and environmental workshop, experimental archaeology, and open days at the two excavations. Over the month, the sites received hundreds of visitors, from Rousay and all over the world. Excavations at Skaill farmstead were undertaken within the middle two weeks of July. The results of the geophysical survey in 2015 showed potential earlier features below the present 18/19th century farmstead. Subsequent test pits in 2016 identified several earlier structural phases below the farmhouse, including a wall with two outer stone faces and midden core, which is likely to date to the Norse period. The site represents a small ‘farm mound’ where successive phases of building, levelling and rebuilding give rise to a low mound. The aim this season was to establish the extent and character of the farm mound, and the depth, quality and date of any deposits and structures in order to better understand the site for more detailed investigation. A line of 1m by 1m test pits at 10m intervals were excavated in two transects across the mound. The natural underlying glacial till was located at the northern, western and southern edges of the mound helping us to define the extent of surviving archaeology. In the centre of the mound, deep stratified deposits were found. These are likely to be over 2m in depth. Post-medieval deposits were found to overlay a distinctive Norse horizon. Norse pottery, fish bone, shell midden and elaborate red sandstone mouldings were found in the earlier horizons. The moulded red sandstone is significant, indicating high status buildings in the area during the late medieval period, and may help provide insights into the ornate red sandstone fragments nearby at The Wirk and on Eynhallow. Evidence for metal working, in the form of iron slag, has also been recovered from Skaill. Significant assemblages of animal bone, fish bone and pottery from the 17-19th centuries were also recovered. These will help us understand farming and fishing practices during the last few hundred years. To the north of the farmhouse, a small trench across a former 19th century barn was reopened and extended, showing the external wall footings and internal flagged floor. The building was demolished between 1840 and 1882 during a time when the farmstead was cleared and ceased to operate. In addition, a small evaluation trench across a suspected field boundary to the south of the barn was reopened from last season and completed. This contained a stone-lined drain and midden enhanced soil, indicating that earlier buried structures could be widespread at the site. Indeed, all of the earthworks that fell within one of the test pits contained structural remains such as walls. Over the two weeks, Skaill received nearly 150 visitors, with 70 visitors over the test pit weekend. Several local children helping dig the test pits. Overall the season was a great success; helping raise the profile of the island, opening up the site to so many folk and increasing our understanding of the Skaill and Westness story. The project has received a Heritage Lottery Fund (HLF) Stories, Stones and Bones grant and additional funding form the OIC Archaeology Fund.